We’ve subjected our tongues to a number of different taste tests—from hot sauces, to processed cheese, to chocolate from around the world (and heck, even to condoms). But it’s the simplest of foods that prove to make for the most complex taste tests—and such is the case as we tackle on the food in question today: commercially-produced, widely-available loaves of white bread. Though nowhere near as popular as white rice, white bread comes quite close in the daily starch-staple hierarchy in the country, with many Filipinos enjoying them in their meals and snacks: in the tuna- or egg-salad sandwiches sold at the office cafeteria, in the cheese pimiento sandwiches served in numerous childrens’ birthday party tables, as a side to local noodle dishes (e.g. 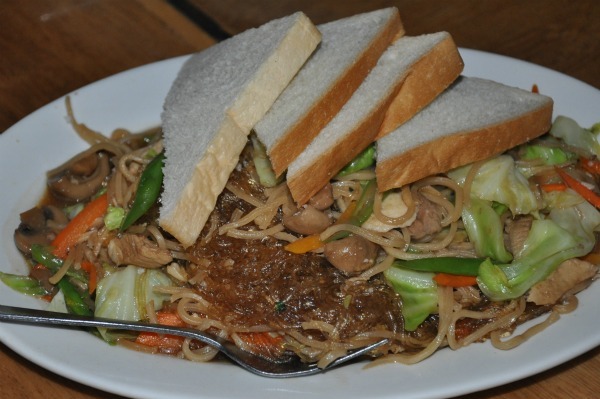 bam-i or Pinoy spaghetti), or, heck, straight up (toasted or untoasted, plain or topped with any kind of spread). While nothing compares to the flavor and complexity of real-deal, freshly-baked loaves made from scratch (especially from your own kitchen), it’s hard to beat these brands on convenience and wide availability. But with a ton of options along the supermarket aisle, which one should you go for? Note: Different brands may carry different sub-varieties of bread that technically qualify as “white” bread, however; for consistency, we went with their most basic, “default” offering, which may be marked as just “white bread”, “enriched white bread”, or “sandwich bread”—but we ruled out any “premium”, “extra-thick”, or “budget” loaves. We held two batches of sessions where we tested each slice plain and toasted on the same day of purchase, as well as the day after. Gardenia is popular among commercial brands and is a fail-safe in many ways. It has a great, balanced texture that soft and springy with a tender, feathery crumb that reveals a creaminess as you chew—but still offers a substantial ‘bite’ that fills you up. Past its distinct nutty aroma (which specifically reminds us of roasted flaxseeds), it hits a good spot between just-sweet and just-salty enough, making it a great choice for eating plain or for use in sandwiches. Heating it through just slightly turns the insides especially soft and billowy, and seems to bring out its milky flavor. Also from the Gardenia company but marketed as a more “sulit” option (in addition to the company’s Pinoy Tasty line), each slice of Neubake has the widest surface of bread of the bunch—but also comes the thinnest, airiest, and making for an ultra-light texture that stretches when pulled and practically melts in the mouth. With a yeastier aroma compared to Gardenia, Neubake carries similar sweet flavor but with a saltier edge and a hint of sourness compared to mother brand. Though we find the slices a little too flimsy for use in a sandwich (its thin and airy character makes for soggy sandwiches), Neubake is great as an overall snacking bread. Real Good boasts of being “buttered” on the package—a claim that finds its validity not with the presence of actual butter, but through a certain “butter-flavored vegetable margarine” (yikes) found in the ingredient list. The slices have a moist quality to them that hints at its being a little richer in flavor—you get a sweet, creamy finish that rounds out the predominant yeastiness (and with a bit of mental effort, could somewhat qualify as “buttery”). For all its richness in flavor though, it tends toward being more delicate when we talk texture: each slice has a feathery-soft, airy consistency is similar to Neubake’s, just a little more moist and substantial. Tiffany’s strength lies in its texture: it bears even more moistness than Real Good (to the point of being damp) but crosses slightly more toward the firm end of the texture spectrum, offering a dense, packed bite that collects into a creamy consistency when chewed. On the sweeter than salty side, there is a rawness about its aroma and flavor—think uncooked dough than fully-baked bread—which is not necessarily a bad thing, though some members of the team point to a “chemical” or “clay-like” aftertaste that isn’t the most pleasant. Olsen’s is the thickest, densest, and most filling (per slice) of the bunch, with a shorter crumb that consists of more densely-packed fibers. It offers a well-rounded aroma that is equally deep, savory, and yeasty—and a sweeter, richer flavor that isn’t very salty, but brings to mind a good loaf of challah (though unlike challah, there are no eggs to be found on its surprisingly short and not-as-scary-sounding ingredient list). The firmness can make it feel tough, but of the six breads on the list, this is our top pick for making french toast or bread pudding with. For the most part, the different brands carry a very similar flavor with minute differences that mostly only come out when you intentionally try to look for it. In any case, Olsen’s and Tiffany’s come out with bread that’s a little more sweet than salty, whereas Neubake has a more prominent salty taste. Tiffany’s is also notable for its more “raw”, dough-y taste, while Olsen’s, Gardenia, Real Good, and Marby are also notable for their richer, “milkier” flavor—though tasters admit this is only when they really pause and stop to think. More varied qualities can be noted from their crumb quality and overall texture. On the denser-crumb end of the spectrum is Olsen’s, followed by Marby and Tiffany’s. Of the three however, Tiffany’s carries the most moisture, that the resulting slice still feels soft enough to sink the teeth into like a pillow; this is followed by Olsen’s, which though denser and stiffer, still ends up feeling softer than Marby. Meanwhile, on the lighter end are Real Good and Neubake—the latter, especially. Gardenia offers the best of both worlds in this case: it’s soft enough that it’s pleasurable to eat, but still substantial enough that it’s filling and just dense enough that it won’t fall apart if you used it as a basis for a sandwich. Small differences aside, all brands we had were great no matter how you slice it—thus proving bread’s great versatility as a food to be enjoyed in itself, or as a building block to making other tasty treats. Over the recent year I’ve realized the value of supporting our local bakeries which come up with perfectly satisfactory sliced bread… good enough that I can live with no longer buying things like Gardenia, which is made by a foreign corporation. It’s a SIngaporean product actually, made to look like it’s American (to much better appeal to the Filipino’s colonial mentality I guess). It’s far better to seek out local bakeries and the goods they offer so it’s our local business that profit rather than foreign corporations. It’s good for the local economy in general. I think Gardenia hired an American baker to create their own recipe. Hence, Uncle Slocumm’s original recipe was created. If you ever drop by Iloilo, try Angelina loaf bread. Best white bread I’ve ever had in the Philippines.